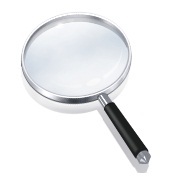 Latest Internet Explorer Security Threat - What you can do. The latest security vulnerability is all over the news. Microsoft is working on a fix to address a flaw that could potentially allow hackers to gain remote access to systems. This flaw affects all versions of Intenet Explorer (about 55% of the browser market) and a patch is expected soon. If you're still running Windows XP, support has ended and there will not be a security patch. In the meanwhile, here's what you can do. 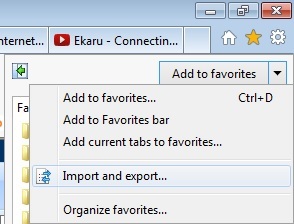 The first option is to use an alternate browser for a while, such as Firefox or Chrome. If you're doing general surfing, this is the best course of action for now. If you need to run Internet Explorer (many applications rely on it), it is recommended that you disable Adobe Flash. The security flaw requires Adobe Flash, so if its disabled, you'll be ok with this threat. Here is how to disable Adobe Flash. 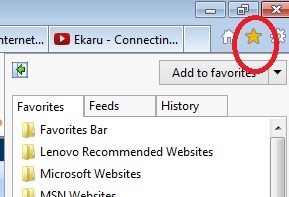 In the upper right hand corner of Internet Explorer, select the "gear" icon, and then select "Manage add-ons" from the pull-down menu. 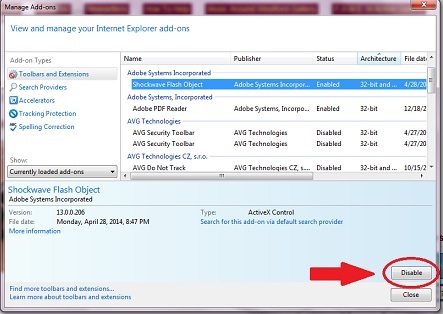 Selecting this will enable you to pick from a list of all the add-ons to your browser and then disable Adobe Flash. Select Adobe Flash from the list of "Toolbars and Extentions", and then press the "Disable" button. Note that when Flash is disabled, some web features won't work, so this is a temporary work around. One of the questions we frequently hear is "why are Microsoft products so insecure"? The technology underlying all the daily things you do on the web is very complex, and there will constantly be vulnerabilities. None of us are willing to give up the web, but we will need to live with some risk. Hackers will go where the market share is, and Microsoft dominates the market. Microsoft also diligently issues patches (which are free) to update products as new vulnerabilities are discovered. If you want to zoom in or zoom out of a web page to make the font bigger or smaller, a simple trick is to use the control key and the scroll on on your mouse: Hold the control key (Ctrl) and then spin the scroll up or down. The scroll wheel is located between the left and right buttons on the mouse. Not every mouse has a scroll, so you can also use the control key with the plus sign and minus sign. 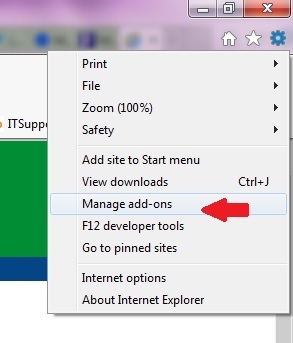 A third option is to hit the ALT key plus "P" to pull up the page menu and then select "zoom". This is a good trick to remember if you find a small font size on your screen one day. Since is possible to change the size by mistake, it's good to know how to change it back. 2. Press ALT+H and then click "About Internet Explorer". You'll be able to see the version and cipher strength (SSL Encryption) you're using. By the way, if you're running Firefox instead, using ALT+H will also give you the version number. Updates to Internet Explorer are provided free of charge from Microsoft through Windows Updates. Keep in mind that staying up to date with the current version is highly recommended for full functionality and enhanced security. However, if you rely on web-based applications for running your business, always check with your vendor before making a major update to make sure they support the latest browser version. 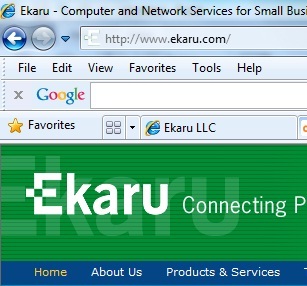 The latest version is Internet Explorer 9.0, and you can download it and read about it on the Microsoft Web Site. The site has information about whats new in the latest version, and feature comparisons to other browsers.